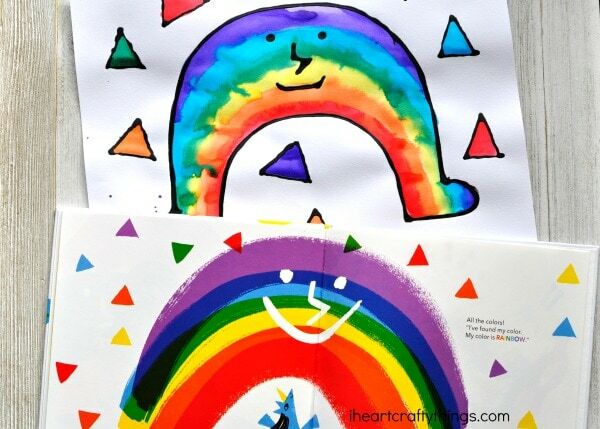 My friend Agnes recently published the most adorable book called My Color is Rainbow (affiliate link). Through the book you follow Little White Arch on his journey as he wonders what his color could be. He meets several characters though his journey that help him to discover the answer. It is such a darling book about kindness, acceptance and teaches a valuable lesson that we are not defined by one, but by all of our characteristics. It’s a book you definitely want to have on your bookshelf! 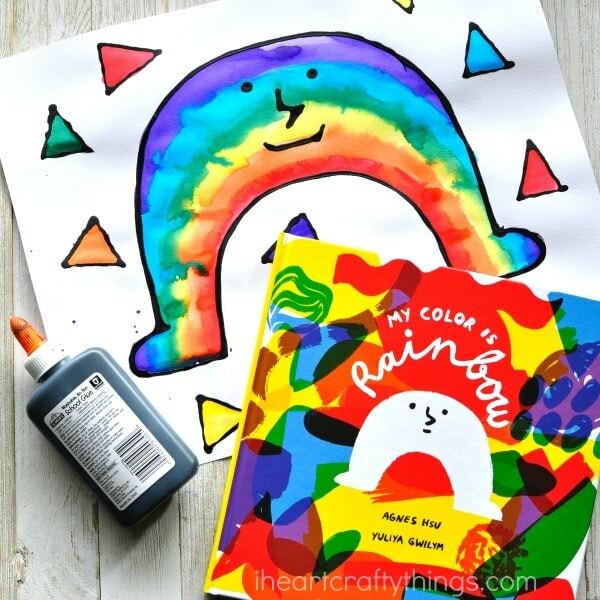 In celebration of the book my daughter and I created this black glue and watercolor resist rainbow craft to go along perfectly with the story. 1. 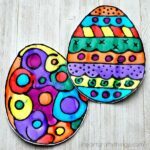 Begin by drawing Little White Arch on your watercolor or mixed media paper or use the printable pattern to trace it onto your paper with a pencil. 2. Mix together your black glue. There isn’t a specific measurement for this. I simply squirted some black acrylic paint into a school glue bottle and shook it vigorously until it was mixed. It works best if the school glue bottle isn’t completely full when you start. If you can’t get the glue to mix with the paint completely you might need to use a skewer or something to help mix it together. 3. Open up the cap of the black school glue and trace the rainbow on your paper. 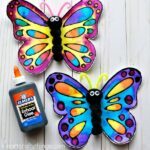 This is amazing practice for kids to learn how to control a glue bottle. 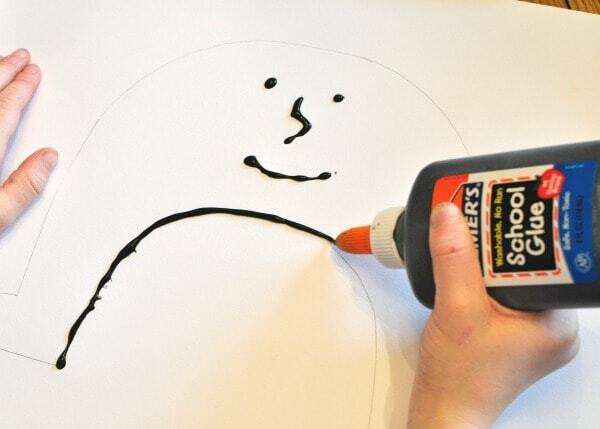 Set your paper aside to allow your black glue to dry completely. We also drew triangles around our Little White Arch to mimic the book but this is of course optional. 4. 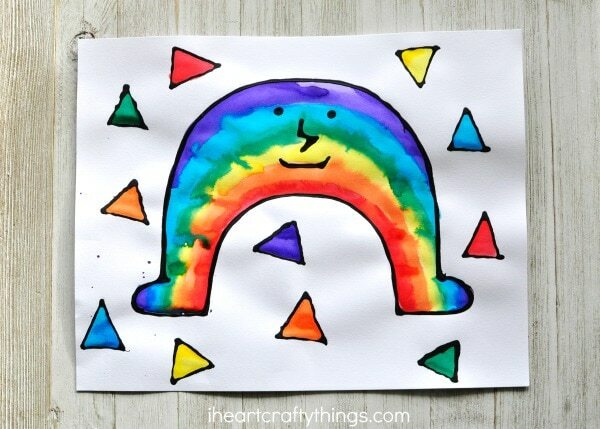 When your black glue is dry, use watercolors to paint the inside of your rainbow and any shapes you make around your rainbow. 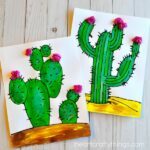 If you have never tried out this black glue and watercolor resist art technique it’s a must! I love how the black glue raises off of the page and the black lines make the watercolors stand out so bright and beautiful on the page. 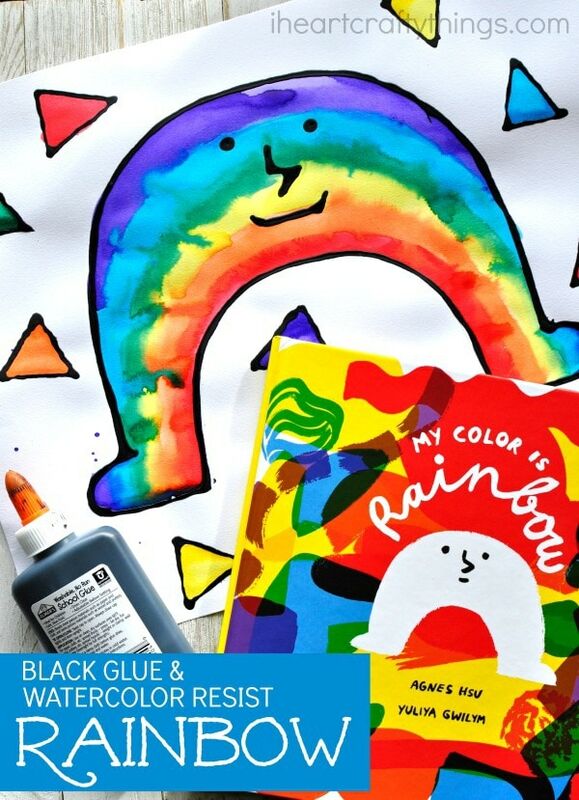 This black glue and watercolor resist rainbow craft goes along perfectly with My Color is Rainbow. 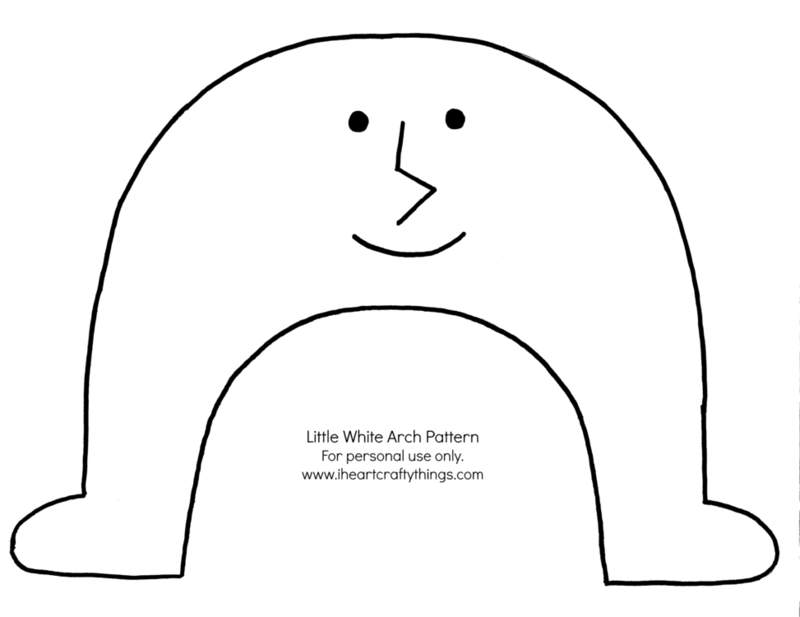 Little White Arch starts out white just like in the story and you get to fill him with all of the beautiful colors of the rainbow. Purchase your copy of My Color is Rainbow by Agnes Hsu on Amazon today!